If you’re looking for an after-school activity for your child, dance offers plenty of benefits. According to the London-based Imperial Society of Teachers of Dancing (ISTD), this activity is perfect for kids who aren’t necessarily drawn to other team sports, but it’s also perfectly wonderful for those who seem to be good at all things athletic. In fact, it can improve flexibility and strength, which may help those kids improve at another sport. Read on to learn more about the perks of enrolling your child in dance classes or a dance camp — and to see the answers to some commonly asked questions from parents. What are the benefits of dance classes? Dance is a fun activity for kids that exercises both the body and mind. In addition to increasing fitness levels, dance classes for kids also help with better posture, creativity, and cultural understanding. It helps improve balance and flexibility. Studies have found that dancing can reduce stress, depression, and anxiety. It can bolster self-esteem. It can help kids achieve and maintain a healthy weight. It provides both cardiovascular activity and weight-bearing activity, so it’s good for kids’ hearts and bones. It can also open doors to a variety of careers, including more obvious options such as dance teacher, professional dancer, and dance movement therapist (using dance and movement to support physical and emotional health). It also can lead to other careers that support the arts in general or dance specifically, such as a publicist, producer, costume designer, or promoter. How do I know if dance is a good activity for my child? First, consider your child’s personality and interests. Have they enjoyed dancing in the past? Do they ask for lessons? Do they like to watch other people dance? If so, it’s worth trying a dance class or a summer dance camp. A one- or two-week dance camp is a great way for kids (and parents) to figure out if regular dance lessons will be a welcome addition to your regular routine. It can also allow you to check out different studios to find an instructor and location that is a good fit for your kids and your budget. Many studios allow parents to be present during class or view from a window in the lobby of the studio. If they take an introductory class or participate in a dance camp, watch your child and make sure they are smiling and having fun during class. Dance class can be hard work at times, but it should first be enjoyable. How do I know if my child is ready to start dance classes? Some studios will enroll toddlers as young as 3 years old. These may be called Pre-K or pre-ballet classes, or the like. Kids younger than this often lack the attention span and physical strength needed for basic dance lessons. Perhaps your child has friends who are already enrolled in classes or who are planning on signing up. Different studios offer different programs, and they may do a quick assessment to see which class may be a good fit for your child. This decision is best made by talking to the dance school instructors or owners about your child’s personality and level of interest, as well as any concerns and expectations you may have. What can I expect the costs to be for kids dance classes? Of course, as with any activity, costs vary depending upon your geographic location and factors affecting the individual studio, such who the instructors are (and what their background and skill level are), as well as how long classes are. Enrolling kids in multiple classes or enrolling more than one family member may bring down your per-class cost. That said, the website Howmuchisit.org reports that dance classes cost about $40 to $120 per month and are typically held weekly. So the per-class cost will likely be $10 to $30. Private lessons typically cost more than group sessions. The studio may also charge a registration or membership fee. Also inquire about the dance gear and clothing you’re expected to provide. Some studios have very strict policies about what they expect students to wear. Ballet classes usually require tights and leotards (sometimes in specific colors), while some jazz and hip-hop teachers prefer dance pants, capris, or shorts paired with a tank top, dance top, or fitted T-shirt. You’ll also need to invest in some good dance shoes. Ballet and tap shoes often are available at discount stores, but other footwear like hip-hop and pointe shoes may need to be special-ordered at a dance boutique or online. Prepare to spend $45 to $175 on the outfit and $12 to $60 for a pair of shoes, reports Howmuchisit.org. Also keep in mind that most studios put on a yearly recital in which you’ll have to purchase a costume, usually averaging around $50 to $75 depending on the studio. If you’re on a tight budget, ask the school if scholarships are available or if they might be offering a special deal or coupon, such as one that waives the registration fee. You can also look into purchasing dance gear and shoes online or from gently-used children’s clothing stores. Often once you get to know the families at your dance studio, those with kids in larger sizes will offer hand-me-downs to younger children. What questions should I ask the dance teacher? When you’re face-to-face, ask what the teacher’s background is, including where they studied and what they like to teach. Also find out if their emphasis is on classically training kids in proper technique or if they’re more focused on fun and physical movement. Many places offer a blend of both, but if they know you’d like a class that is heavy on serious technique, they may recommend some specific dance classes for your child. Also, see what other dance activities the instructor is involved in; some teachers also run a dance camp over the summer or teach at different studios. Or maybe they perform locally. If so, you may want to take your child to a performance to show them what their teacher can do on stage. Which type of dance is best for my child? Kids usually get their interest in dancing by seeing it somewhere first. Many girls start out their dance experience with ballet simply because they dream of someday becoming a ballerina. Boys may express an interest in hip-hop or tap initially. Or if your child is seriously pursuing musical theatre opportunities, maybe their directors have suggested specific types of classes to help them pick up choreography for a show. A good place to start is by showing your child as many different types of dance as possible then observe which appeals to them the most. Take your child to a dance recital or performance in your area and see which numbers hold their attention or pique their curiosity. 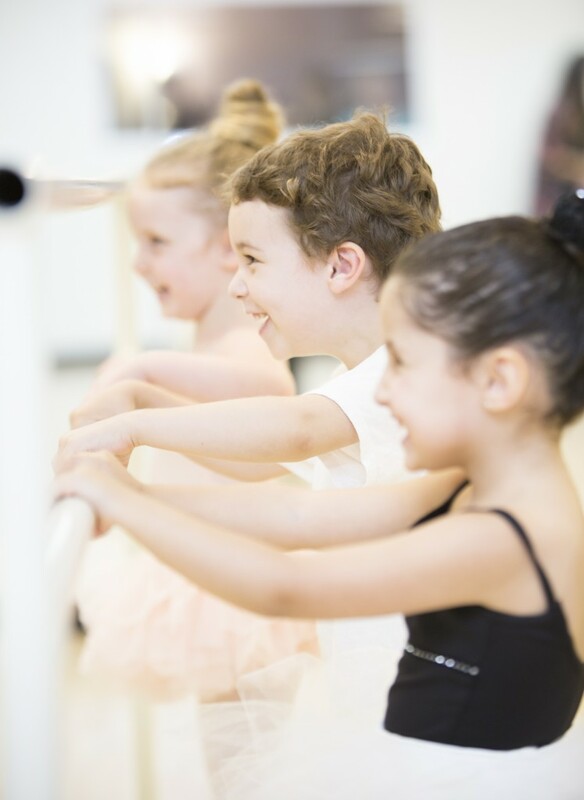 If they are still unsure, see if a local studio will allow your child to drop in on a few different classes and decide which is most enjoyable to them. Many studios also offer combo classes such as tap, jazz, and ballet all in one, with the recital numbers utilizing parts of the same outfit in each. For instance, a leotard may come with a ballet tutu, a fringe tap skirt, and jazz pants. This is less expensive than buying three entire outfits. If you enroll your child in a combo class, you might want to ask about recital outfit requirements and costs, especially if budget is a factor. What other options are there besides studio classes for dancers? For kids who have found their passion in dance and want a bit more flexibility than an organized class offers, a dance camp might be a good option. Dance camps expose kids to a variety of different dance styles and are also a great way to help shy kids break out of their shell before enrolling in weekly dance classes. Why Is Dancing So Good for Your kids?We are all about safety!